For this week's Top 5 List, I'm combining two of my favorite passions, movies and theme parks. In the right hands, rides and shows adapted from films can expand on the source material and put us right inside the story. I should clarify that I'm not referring to the basic marketing of coasters (i.e., Batman, Mr. Freeze) that have little connection to the original. Six Flags is a master of this type of naming and the rides may be fun, but that isn't enough to make this list. 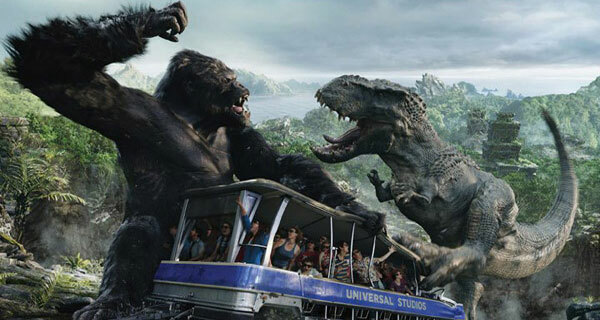 The Disney and Universal parks have shown a superior ability to create highly entertaining and unique attractions from both great and mediocre movies. There have been some flubs along the way (Stich's Great Escape, Twister), but the majority are impressive. I should also mention that rides adapted into films like Pirates of the Caribbean don't qualify, even if certain movie elements were added to the show later. Finally, I've skipped anything that I've never ridden like the new King Kong encounter pictured at the top. These rides (particularly the top three) offer incredible experiences that you should check out even if you're not a fan of the movies. Let's pull down the lap bar and check out the list! Remember to keep your arms and legs inside the vehicle at all times. This interactive ride is arguably the most ambitious shooter ride that's ever been created. You start out as an agent trainee and are quickly tasked with taking down a massive alien and saving the world. There are plenty of clever touches within this large attraction, including having a Steven Spielberg alien holding a newspaper. You even get the chance to shoot other cars and send them into a tailspin. 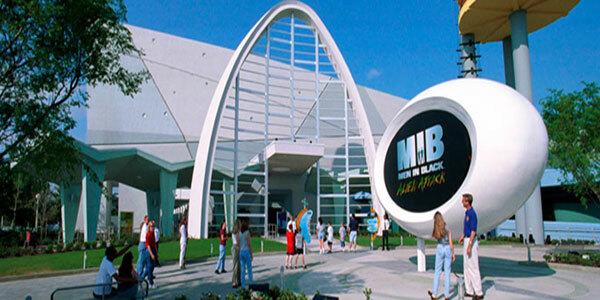 In typical Universal fashion, Men in Black cranks up the intensity near the end. 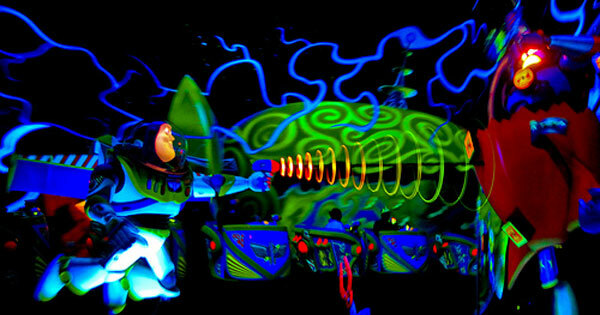 While traveling under the very impressive alien, you start wildly spinning, which can test even the strongest stomachs. It's still a great attraction with well-done theming, but the end brings it down a notch. Will Smith does give you a different message based on your score, which is a fun way to close it out. We're staying with shooting rides for this choice, which improves on the original Buzz Lightyear's Space Ranger Spin at Disney World. It isn't as high-tech as the Men in Black ride but is a lot more fun. You'll find similar rides to this one in your local parks, but it's the extra touches that make the difference. The targets react to being struck by your blasters, and it's just a great time. This is one of those attractions that never gets old because you're competing with friends and looking to find a way to improve your score. It's based on the plot of Toy Story 2 and has a lot of clever nods to the characters and the entire franchise. Disney also has a newer interactive ride, Toy Story Mania, which is in 3D and has better technology. However, it falls a bit short of this attraction in terms of pure fun. 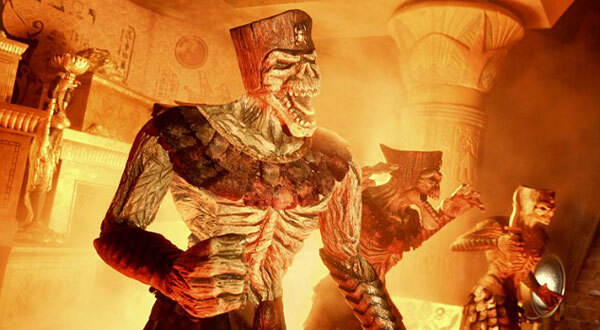 Based on the Mummy films starring Brendan Frasier and Rachel Weisz, this elaborately themed attraction is a mix of a dark ride and a roller coaster. Even the queue is worth seeing because it sets up the production of a fictional sequel. You hop into mine cars to get a closer look, but this set is cursed. Skeletal warriors, hordes of scarab beetles, and the Mummy himself threaten you in this technologically advanced ride. When the coaster part takes over, it's disorienting because you're indoors and don't know where it's heading. There are fire effects, steep drops, and even a false ending. It's not as wild as some of the other Universal coasters, so it might be a good middle ground if those are too much. I've only chosen the Orlando version of this ride because it's longer and more detailed. Originally appearing in 1987, Star Tours gave visitors a chance to ride through the trench of the Death Star and catch a glimpse at the Star Wars universe. Riding a motion simulator was exciting, but there were only so many times you could take the same trip. Fans anticipated a new version for many years, and it finally arrived in May 2011. The result is a stunning revamp that provides a different ride nearly every time. The 3D images represent a new level of sophistication and go way beyond the previous technology. The big draw is the possibility of 54 different combinations. This is slightly deceptive because it takes into account each part of the attraction. Basically, you start at one of two points, then visit two worlds randomized by the computer each time. Options include Hoth, Tattoine for the pod race, and the congested air traffic of Coruscant. You also get a visit from familiar faces like Princess Leia or Admiral Ackbar. The reason I'm hesitant to go overboard is the fact that I've ridden Star Tours fives times and traveled to the Wookie planet during all the rides. This is just bad luck, but it shows how it may take a serious number of rides to experience the six planets. Regardless, this is a stunning improvement that doesn't lose any steam with repeated visits. 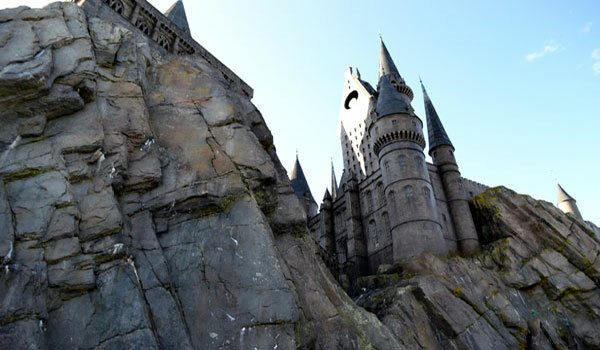 The Wizarding World of Harry Potter was a blockbuster addition in June 2010 for Universal that completely changed the theme-park landscape in Orlando. It didn't put them on even par with Disney, but it earned them huge attendance gains. Theme-park fans were talking about them a lot more than their juggernaut competitor for the first time in a while. The centerpiece of this new land was Harry Potter and the Forbidden Journey, a combination of a dark ride and simulator attraction. You board "enchanted benches" and soar through Hogwarts while encountering Dementors, a dragon, and other familiar entities. The queue for this ride is worth seeing even if you're not reading for the intense attraction. You walk by talking paintings, hear from a holographic Dumbledore, and Harry and his pals before boarding the ride. I wrote a longer post about this entire area back in March if you're interested. This ride lives up to the hype and uses amazing robot-arm technology to seamlessly move you through some amazing set pieces. Opening in 1995, this breakthrough attraction tells an entirely new story where you join Indiana Jones and explore an ancient Bengalese temple. You board vehicles that appear to be standard jeeps, but they're actually enhanced motion vehicles. Unlike typical simulators, they actually move through a large building but provide a greater range of motion to increase the excitement. The show building is huge for this ride, which incorporates many familiar Jones conventions while still being a new story. The theming is amazing and combines with fun surprises to deliver a remarkable experience. We also run into Jones (voiced by Ford) a few times during the craziness, which takes us past snakes, a giant boulder, and inventive fire effects. The queue for this attraction even surpasses Harry Potter and provides a remarkable setting. You're completely immersed in the story, and the huge scale sells the feeling that you've stepped into Jones' fantastical world. I'd love to hear your thoughts about this list. What are your favorite theme park rides based on movies? You should also check out the archive of past Top 5 Lists if you've missed them. Being from the midwest, my experience with movie-related theme park attractions is pretty much just limited to roller coasters. That said, the one memorable ride was the Mr. Freeze coaster in Six Flags St. Louis. It was one of the early magnetic propulsion coasters for a fast, gut-wrenching start ending with a brief moment of weightlessness as the coaster sends you straight up into the air before doing the whole thing over again backwards. A hundred times better than the movie it was inspired by... at least I think it came after Batman and Robin and not before. I live in St. Louis and have been to Six Flags there a bunch of times over the years, especially when I was a kid. That Mr. Freeze ride is pretty crazy. The sensation of dropping backwards once you reach the top is very odd. It's so smooth that it feels like you're sitting still and the world is moving. I read they actually turned it around this summer and are starting you backwards. I'm not sure that would work as well. I'm pretty sure it came out after the movie if I remember correctly. Thanks Joel! I'll admit that putting together this list was pretty easy for me, so that might put me in that category. I'd love to got to Florida and experience some of these. I've only been to Universal in LA once years ago and the Back to the Future and Jurassic Park rides amazed me! Definitely want to experience that Indy one! If I ever get to America again, I'll be keeping an eye out for these! I rode the Jurassic Park ride in Florida, and it was pretty cool. There's a fun T-Rx appearance at the end with a big water drop. I also liked the Back to the Future ride when I rode it a while ago. I excluded attractions that aren't around anymore for this list. That one may have made it if it was still operating. Wow this is a amazing blog. I read your blog and really enjoyable blog.